Product Spotlight – RC4WD Chevrolet Blazer Body Set « Big Squid RC – RC Car and Truck News, Reviews, Videos, and More! 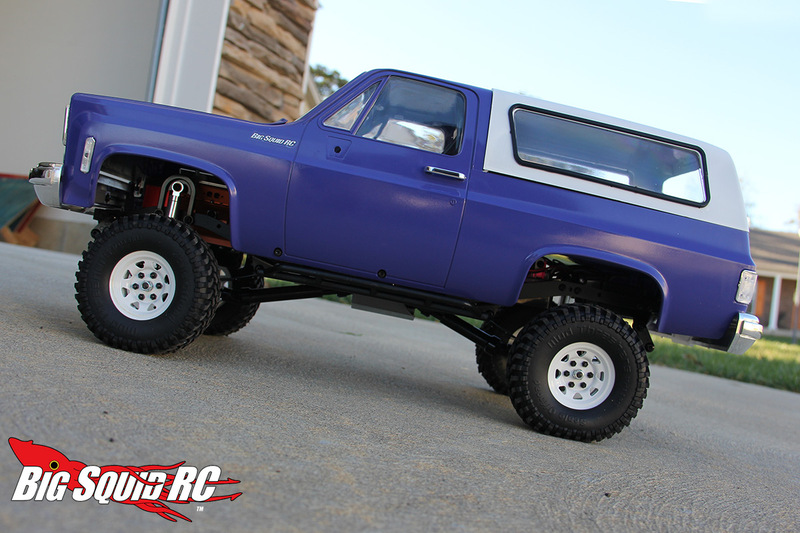 RC4WD is known throughout the hobby as the kings of the detailed hard body. 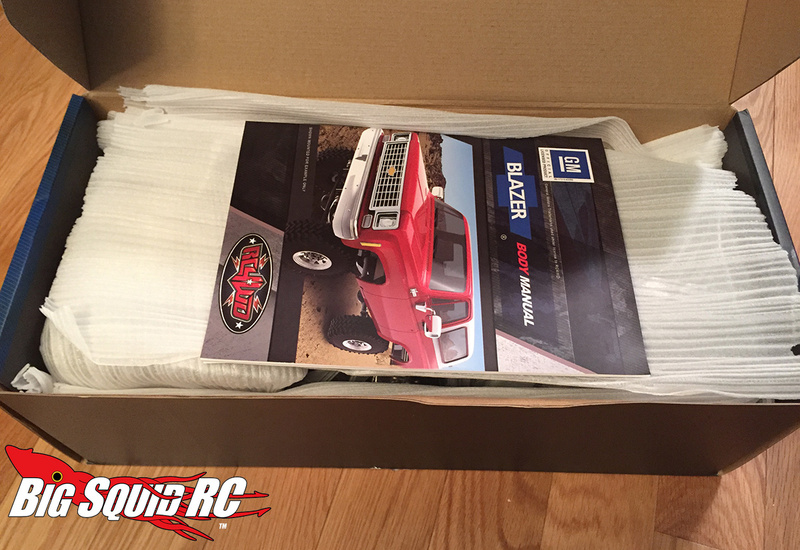 We finally had the chance to get our hands on their Chevrolet Blazer Body Set to see what it was all about. Read on to see what we thought. 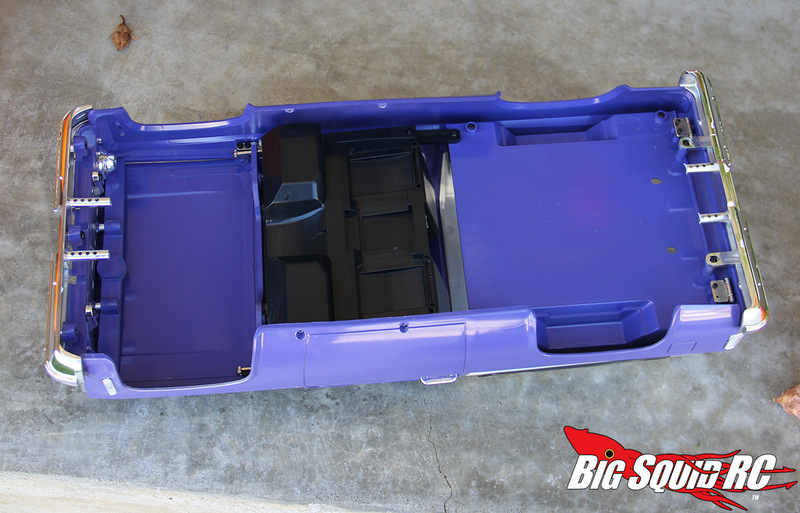 If you’re wondering why we are reviewing a body, something we typically don’t do, well, this ain’t your typical lexan shell. No, it’s not lexan at all! 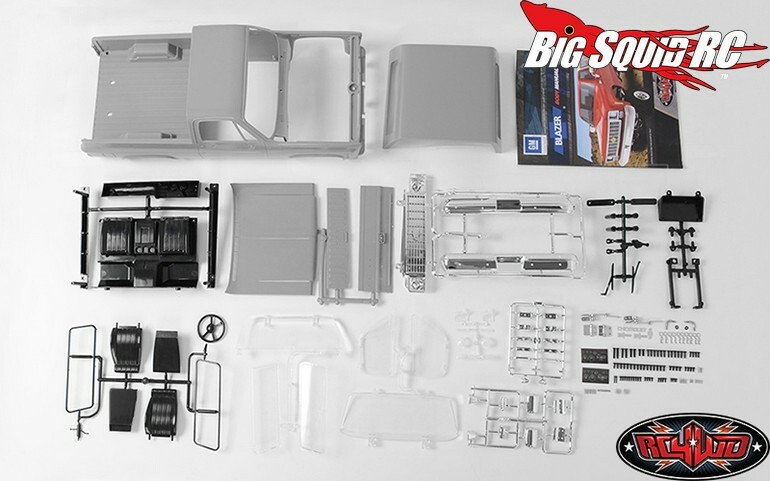 As you can see from the pics, this is a full kit featuring lots of detailed parts and pieces. Set-Up Notes: This body is designed for the Trail Finder 2, and includes hardware/instructions to mount it to the chassis with ease. That’s what we put it on. However, with a little ingenuity and elbow grease it can fit on other scalers. 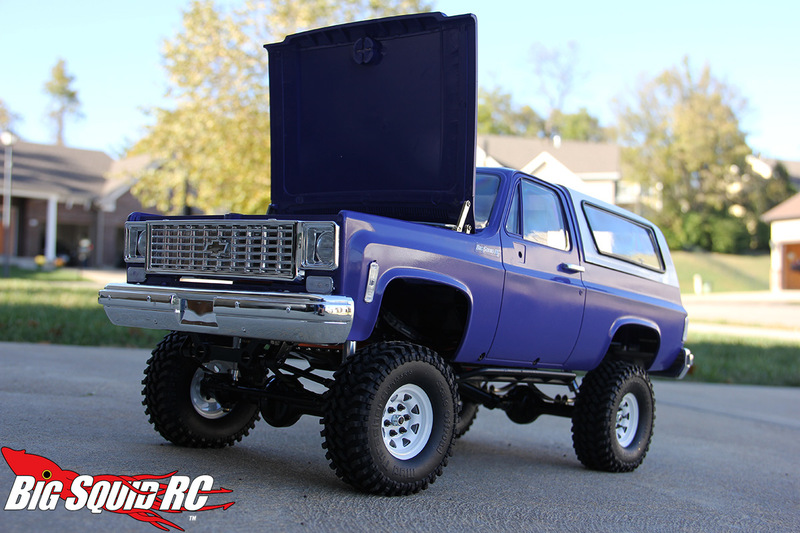 A quick trip to the Google can show you various custom builds that the Blazer sits atop. You may notice in some of the shots that the rear view mirrors are missing. That’s by our design as side mirrors and rocks go together like vinegar and baking soda. We figured we’d save the grief and left them off in running conditions. We also wound up leaving off the rear window to easily remove the body pins. 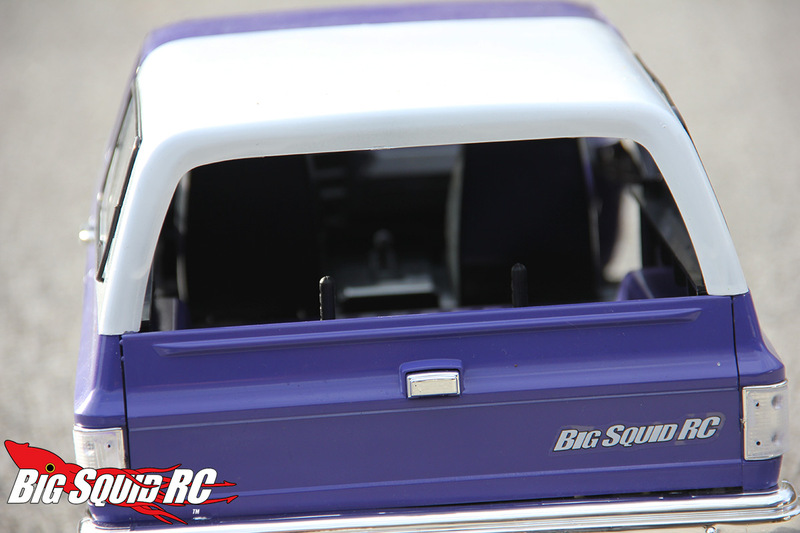 The paint we used was Tamiya TS series Purple and Pearl White which are formulated for plastic. 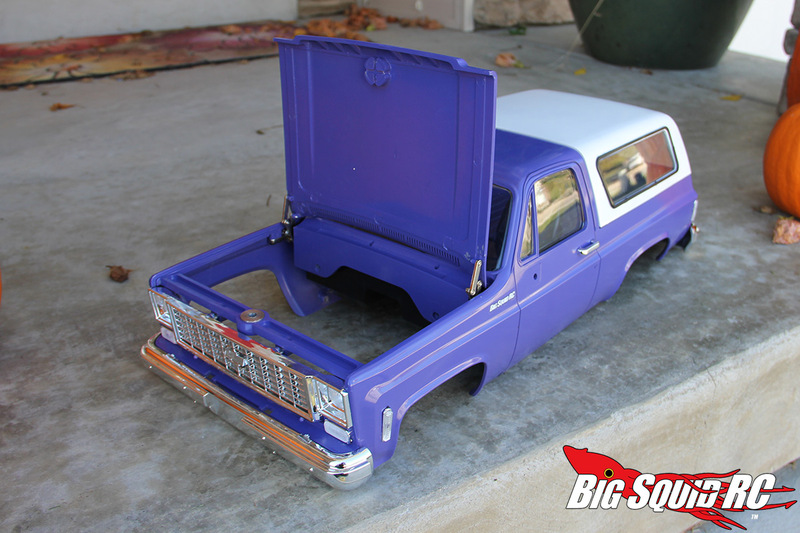 Build Quality: Scale modelers rejoice- you can bust out the plastic cement! You’ll need a good amount of it for this bad boy. 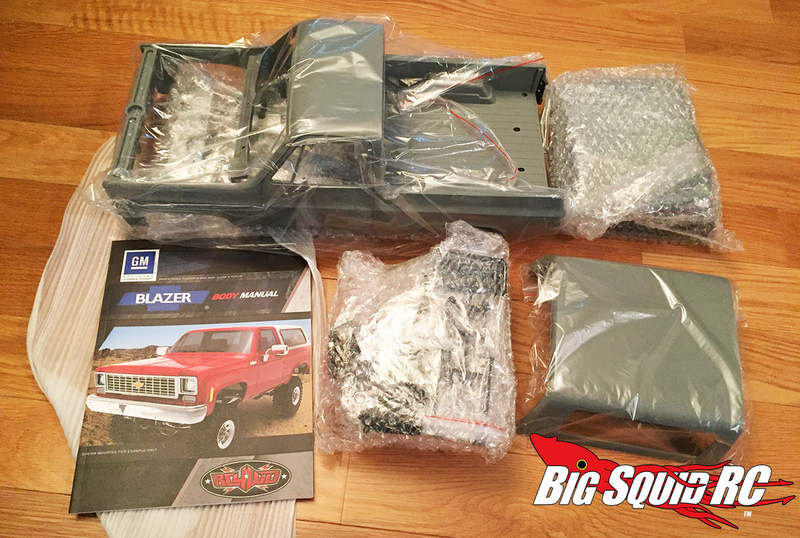 Building the Blazer feels very much like putting together a static model. Very cool! The fit and finish on everything was great, just be prepared to take your time and it’ll come together. Oh, you’ll also want to make sure you have a set of tiny screw drivers to avoid a potential PITA. 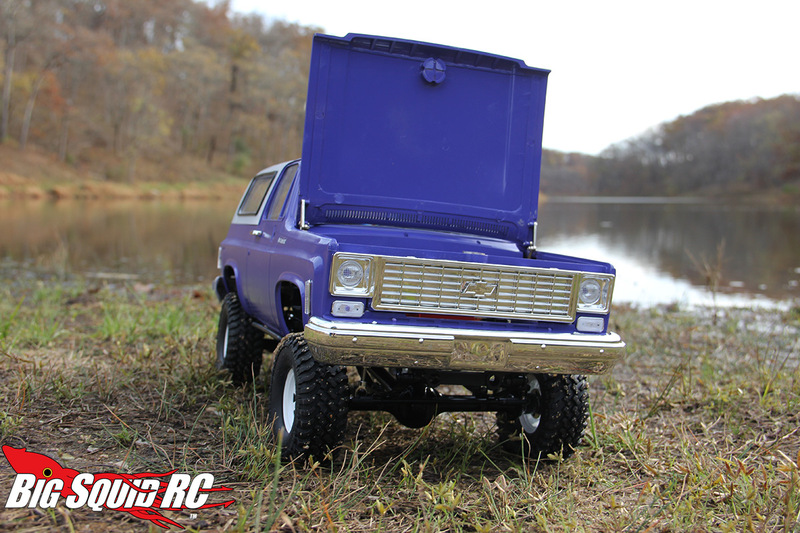 Our crew has had hands on time with every hard body that RC4WD offers, and each one has their own individual characteristics. In our opinion the Blazer is the best performing of the bunch, at least as their SUV style bodies go. The way the hood opens and then stays shut is pretty interesting. 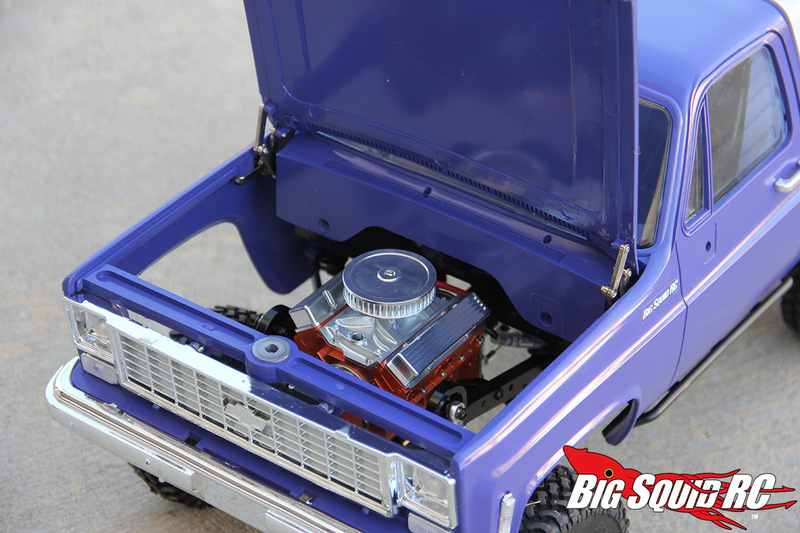 Strong magnets above the grill and inside the hood keep it shut firmly when you are running. When you want to crack her open you use movable hinges to sit it up. Very trick. 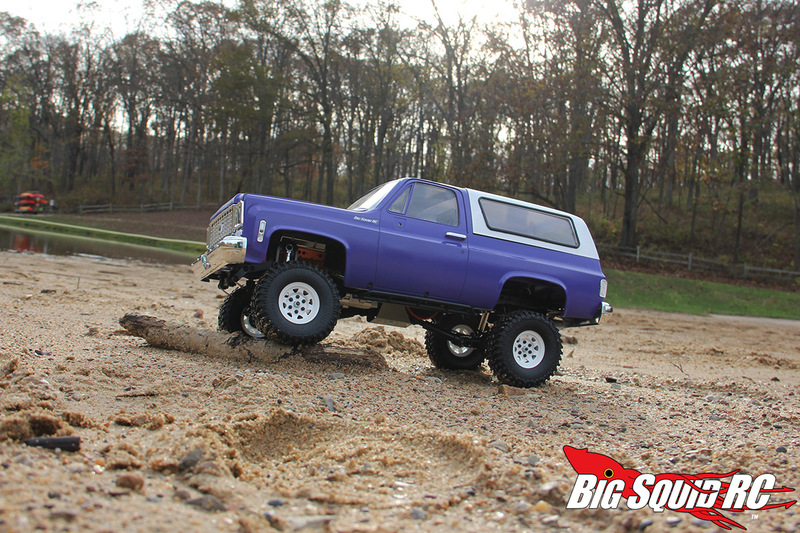 The Blazer fits the Trail Finder 2 chassis like a glove. 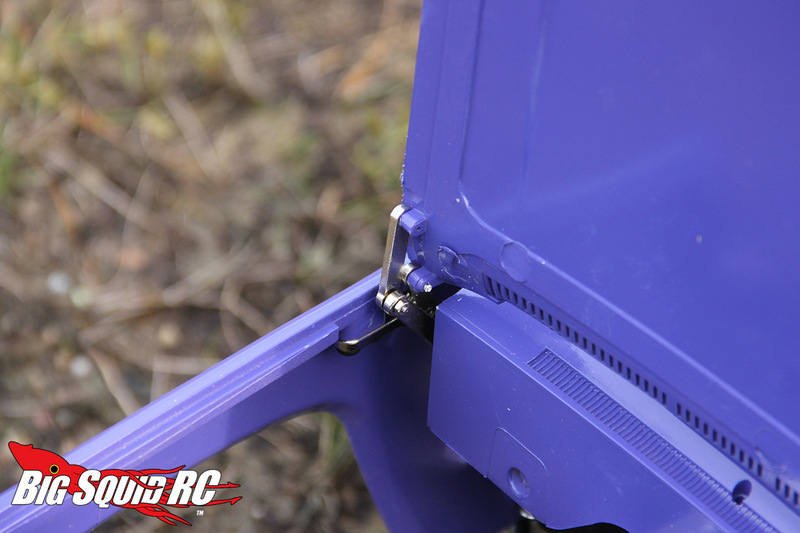 You can mount it with attachable bars that screw into the body and pin to posts underneath, or just leave the bars attached to the chassis full time and use your hex driver to put on/take off the body with for removable screws (and 2 standard body posts in the rear). 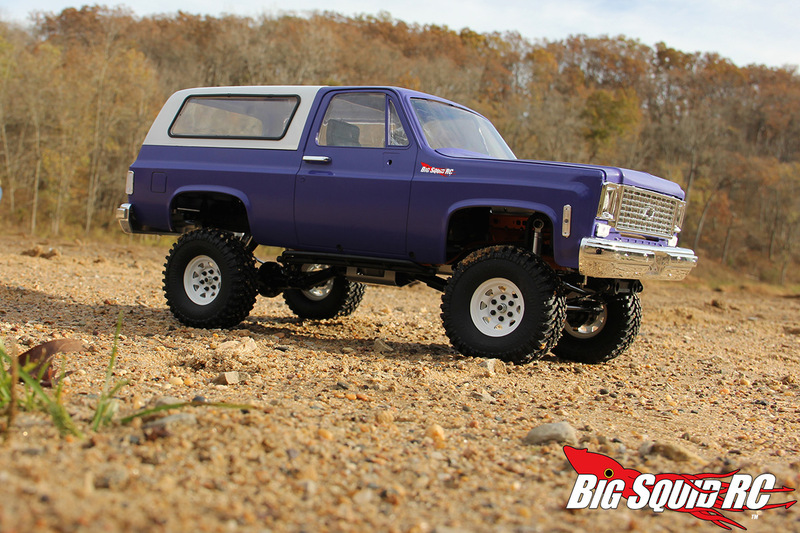 If you’ve got the cash, pair up your Blazer equipped Trail Finder 2 with RC4WD’s Scale V8 Engine and R4 Scale Transmission to reach peak scale. Hey, that hood opens and closes for a reason right? Assuming you glued everything properly, the body is durable. You may cry when scratching that paint job, though! Hey, that’s the hard body life. 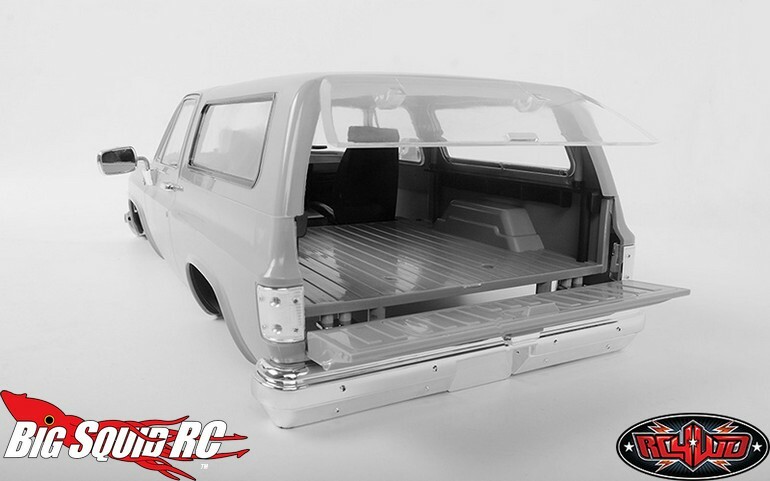 As far as scale looks and details go, this is arguably the best body on the market. If you own a Trail Finder 2 and dig K5’s, this is the top of the mountain.